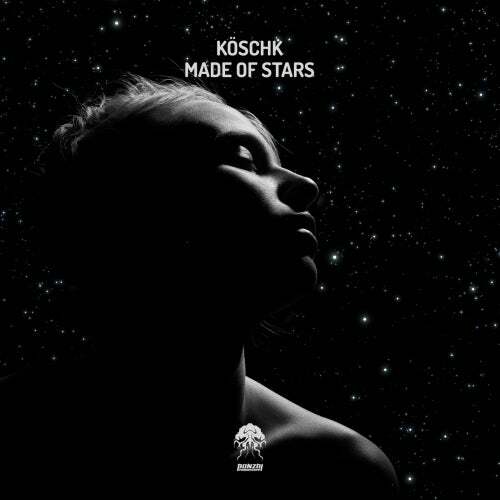 Fresh off the back of his last effort, True Romance, Koschk returns to Bonzai Progressive with Made Of Stars which also features two solid remixes from Audio Noir and Rise and Fall. Continuing a string of quality releases for us over the last few years, Lebanese DJ and producer Vince Aoun remains consistent in his delivery of quality sounds. He has grabbed the attention of many top jocks like Paul Van Dyk, Judge Jules, and Paul Oakenfold and his tracks appeared on many labels around the globe including PVD's Vandit Records. Known for a unique, silky smooth progressive groove, we're always delighted when his latest creation drops through the mailbox. On the Original Mix Vince takes us on a cosmic journey filled with swirling pads and mesmerizing arpeggios. A solid drum arrangement gets the feet tapping while a driving bass locks us in to the groove. Soft melodies contrast with sharper synths as captivating voices ring out. The track resides in dreamy territory full of spacey effects that beef up the sound beautifully. Great stuff that will not disappoint. Rise And Fall aka Russian based DJ and producer Anton Vishniakov returns to BP on remix duties. Since 2013 his works have been praised by several top DJ's around the world. He has worked with a plethora of top artists, collaborating and remixing, stacking up a hugely impressive back catalogue. His last outing here, Wasted, gained great support which is no surprise given the sheer talent this guy has. Specialising in deep and techy high-quality sound along with energetic and atmospheric grooves there can be no doubt that Anton will continue to garner huge support for a long time to come. On the remix here Anton delivers a quality slice as expected with a tight percussive led arrangement filling the spectrum. A rippling low-end bassline shores up the groove as gritty synths line up against softer melodies and that inspiring, hair-raising vocal. Smooth and powerful, the perfect tonic for the peak time slot for sure. Audio Noir is back doing what he does best, providing the soundtrack to the dancefloor with Another Audio Noir Trip. This mysterious artist has been responsible for a host of memorable tracks for us over the last number of years in both original and remix forms. He launched his career in 2007 via Next Dimension Records and his releases have gained support from the likes of Chris Fortier, Jay Tripwire and many more. As a DJ he played with the likes of Anthony Papa, John Digweed, Steve Gerrard and Chicane. He boasts a very impressive release count on Bonzai Progressive, including his In The Mix 002 mix which proved popular among many. Great to see him again, much more to come in the future. Here Audio Noir takes us on a deeper progressive outing thanks to that super tight drum section and warm encompassing basses. The track build beautifully, creating an anticipation that is satisfied on the break with those sweet voices and spacey pads which lead us back to the warm bass for the duration. Top notch effort yet again, a must have.